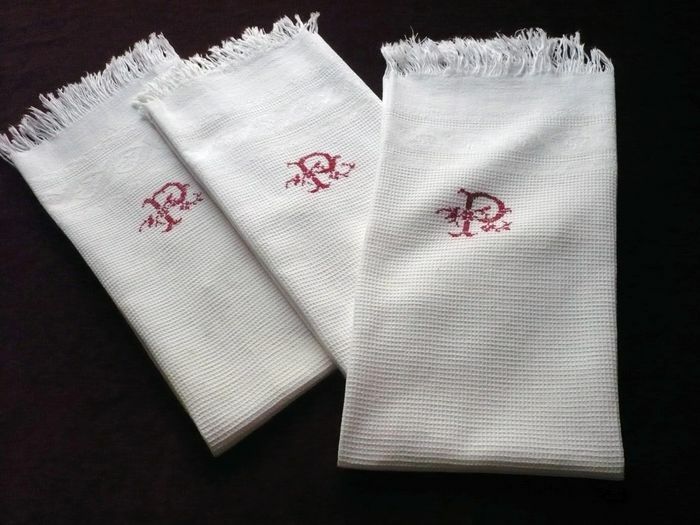 Three very pretty bright white cotton piqu� guest hand towels each with a single fancy monogram "P" embroidered in red cross stitch and embellished with flowers. These simple but elegant hand towels have a damask floral band at either extremity and terminate in a fringe. Mid 20th century. Perfect condition. Dimensions: 32 x 21.5in.